A father and his son walk alone through burned America. Nothing moves in the ravaged landscape save the ash on the wind. It is cold enough to crack stones, and when the snow falls it is gray. The sky is dark. Their destination is the coast, although they don't know what, if anything, awaits them there. They have nothing; just a pistol to defend themselves against the lawless bands that stalk the road, the clothes they are wearing, a cart of scavenged food—and each other. Born in Rhode Island in 1933 but raised and educated in Tennessee, Cormac McCarthy is the author of nine previous novels and the recipient of the Pulitzer Prize, the National Book Award, and the National Book Critics Circle Award. He now lives in New Mexico. "From the Trade Paperback edition." "His tale of survival and the miracle of goodness only adds to McCarthy's stature as a living master. It's gripping, frightening and, ultimately, beautiful. It might very well be the best book of the year, period." "Vivid, eloquent . . . The Road is the most readable of [McCarthy's] works, and consistently brilliant in its imagining of the posthumous condition of nature and civilization." "One of McCarthy's best novels, probably his most moving and perhaps his most personal." "Illuminated by extraordinary tenderness. . . . Simple yet mysterious, simultaneously cryptic and crystal clear. The Road offers nothing in the way of escape or comfort. But its fearless wisdom is more indelible than reassurance could ever be." "No American writer since Faulkner has wandered so willingly into the swamp waters of deviltry and redemption. . . . [McCarthy] has written this last waltz with enough elegant reserve to capture what matters most." "There is an urgency to each page, and a raw emotional pull . . . making [The Road] easily one of the most harrowing books you'll ever encounter. . . . Once opened, [it is] nearly impossible to put down; it is as if you must keep reading in order for the characters to stay alive. . . . The Road is a deeply imagined work and harrowing no matter what your politics." "We find this violent, grotesque world rendered in gorgeous, melancholic, even biblical cadences. . . . Few books can do more; few have done better. Read this book." "A dark book that glows with the intensity of [McCarthy's] huge gift for language. . . . Why read this? . . . Because in its lapidary transcription of the deepest despair short of total annihilation we may ever know, this book announces the triumph of language over nothingness." "The love between the father and the son is one of the most profound relationships McCarthy has ever written." 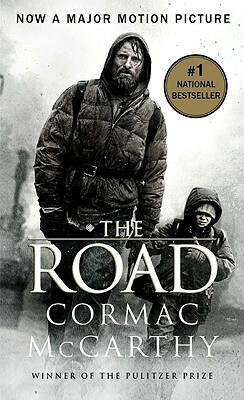 "The Road is a wildly powerful and disturbing book that exposes whatever black bedrock lies beneath grief and horror. Disaster has never felt more physically and spiritually real." "The Road is the logical culmination of everything [McCarthy]'s written." "It's hard to think of [an apocalypse tale] as beautifully, hauntingly constructed as this one. McCarthy possesses a massive, Biblical vocabulary and he unleashes it in this book with painterly effect. . . . The Road takes him to a whole new level. . . . It will grip even the coldest human heart." "McCarthy is a gutsy, powerful storyteller. . . . The writing throughout is magnificent." "His most compelling, moving and accessible novel since All the Pretty Horses. . . . McCarthy brilliantly captures the knife edge that fugitives in a hostile world stand on. . . . Amid this Godot-like bleakness, McCarthy shares something vital and enduring about the boy's spirit, his father's love and the nature of bravery itself."